Yeah cool, but why exactly is arena excluded from this event? All in all, i expect Arena to be given more value it deserves. You can introduce pro-gaming, tournaments, MMR, statistics or at least such events to Arena. I imagine that it is possible to decrease the more luck dependent nature of Arena by creating a tournament format of 4 players, whereby each player passes his keg after taking one card and receives 3 cards from other direction. Each player plays with each other along 3 rounds and everyone has more control in opponent's decks, making it much more skill dependant. With slightly more modifications such events would carry a fun and great format like Arena to the pro scene, the place that it deserves. RED Points: Smradd, petr_klokan and RKane. Last quest seems busted again, at least for NR. It doesnt count units with Shield. Fyi im not using Calanthe for the last one. Doubt it matters, since it doesnt mention anything in the quest log about using a specific leader. Once again, I am playing Nilfgaard and hopefully getting that sweet Nilfgaard Banner. I think I'm on the last leg of that Contract, so doubtful during this coming, but maybe. @RKane. It actually does matter, when I used Henselt it didn't count, but as Calanthe it did. I'm not sure if it's intended or not, but that's how it is. Great! I hope it will be better than last titeme when I had to play almost constantly against Gerni either point slam or Dragon dream to the point I simply stopped playing. Indeed not merely cute. I find it well thought, immersive and very player-friendly, as it allows us to get together not only against each other but also together as a team pushing our choice ahead to the win. To which I have to ask a question about the rewards. The first point being XP boost, which is always good. But the second is a ''chance'' to get kegs?? How so?! If I, by the end, have 20 points I will not have won 20 kegs, but just have the chance to do so? Not that I don't appreciate these challenges - and overall Crimson Curse is great so far - but I really hope we start to see more action in the coming months. I just think there's so much potential for some more "warped" arenas, more variety in events/challenges, and maybe new modes. The seasonal mode is cool, I'm enjoying this one much more than last month's Bears. But, I keep thinking about things like Faction battles - where you could pit 2 Factions against each other. For example, "Spring Cleaning" could be Scoia'tael versus Monsters(a nod to Thronebreaker). Or "Nilfgaardian Invasion", where you choose either NR or Nilfgaard. This way you could tech your deck against the opposing faction, and people could enjoy a whole different meta for the duration of the event. Maybe even try just one faction - like "Clan Wars", an all Skellige clash. You could call the mode "Skirmish" or something like that. I know there are surely tons of ideas kicking around the studio. It would be great to get an updated road map at some point soon. I'm absolutely enjoying the game, and I don't want to sound like a whiner! I think we'd all feel better about the future of Gwent if you shared a bit about your plans. Thanks for all the hard work. I'm not sure if this is suggested or it works like that, cause what I remember is that the 50% XP boost comes for a time after the event. Which for me is an issue that screams FATIGUE. What I will suggest and that sounds sane to me, is the 50% boost to work retroactively. Meaning - you get the boost when the challenge is over, calculated by the matches you've played with your Leader of choosing... if (s)he won in the challenge, that is. Went with Svalblod. Not the easiest leader to win with but definitely one of the most fun decks that I run. Svalblod Priest ticking away at Harald's skulls or Blueboy is tasty play. I am at level 6 of the challenge "win 5 matchs using Svablod". I have won 5 matches but the counter went back to 0 then. Yes, it is normal, 6th quest is the last one and it's also repetitive one as it gives you additional +1 points to the contract. Completed Dana Méadbh today. A 6th phase check box opened up, win 5 matches, but no rewards associated with it unlike the previous five? Anyone know if there is player reward beyond the original five or does additional completion only contribute to the faction score? Same here with Dana Méadbh. 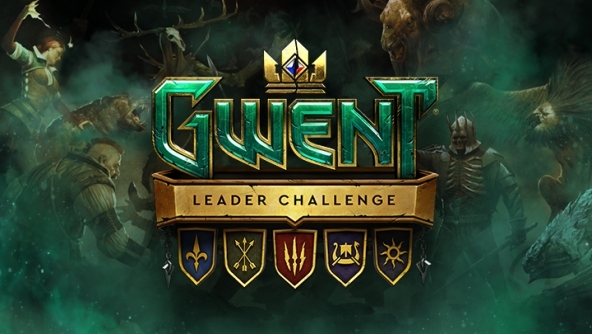 Wondering if there is still player reward beyond level 5 or if it just contributes to the leader challenge score only?